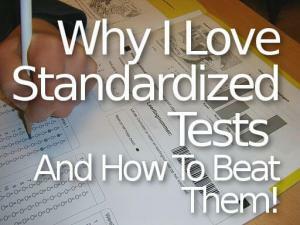 Standardized tests are better than non-standardized tests. Doing well in school is a balancing act between the subjective and the objective. One chunk of school is your ability to learn facts. You need to know how to memorize. You need to know how to follow instructions. People talk a lot about understanding but most students don’t appreciate the simplicity and effectiveness of just remembering stuff. It’s a science. There is very little room to screw this up. The most likely way you can screw it up is by not doing it at all. Memorizing objective facts is simple. Standardized tests focus on these facts. They avoid as much interpretation as possible. That simplifies your strategy. What are the teacher’s perceptions of you? What answer is the teacher looking for? Can I convince the teacher I know something I don’t know? Multiple choice questions have a right or wrong response. When there is any room for interpretation by the teacher, you need to account for hundreds of extra questions. Even in subjects like math, you’ll often have teachers interpreting how much credit you get for a “partially correct” answer. There is unlimited complexity to scoring high based on subjective judgements. The approach you need to take is ambiguous. No matter how well you focus on your strategy, you could still get graded when the teacher is in a bad mood. Standardized test try to control for this. That makes taking them a whole lot more straight-forward. Life is not like a standardized test. 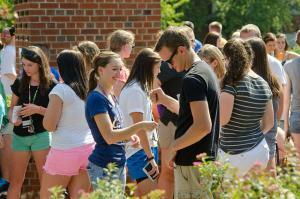 Your friends didn’t decide they wanted to be friends with you based on standardized tests. They didn’t verify you guys have similar opinions on 32 key issues before agreeing to the friendship. They just kind of judged you while you kind of judged them. Your future employer is never going to put a standardized test in front of you to decide your bonus. They’re going to look at subjective matters. If they like you more (even if it’s for bad reasons) you can expect better results. Subjective judgement is the standard procedure in life. It comes naturally. You don’t need to learn any special strategies to do well with it. Most people just get it. Standardized testing is not natural. Most standardized tests have very clear expectations. 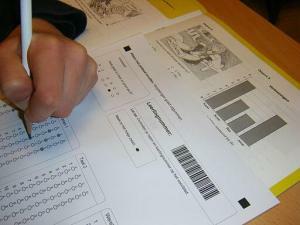 For popular tests like the SATs, thousands of resources exist explaining the intricacies of what subjects are covered. For individual class tests you may get some kind of a study guide. Worst case scenario, you can keep track of all the covered topics in class and guess, pretty safely, those are the main topics covered on the test. 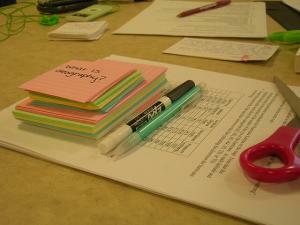 By defining your topic clearly, you allow yourself to appreciate the full benefits of memorization. Just memorizing the important information is usually enough. If you know the facts then you can usually work out the understanding on the test. You can logically put facts together. It’s a lot harder to guess random facts based on a familiarity. I added a new word to my typical explanation of this. I wanted to clarify based on some of the comments I got. Memorization is huge but you can’t know what you memorize without being familiar with the subject. 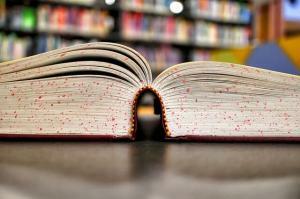 The first thing you need to do is familiarize yourself with the subject of the test. For most major tests, that’s just showing up to school and giving it at least a little bit of your attention. For individual class tests, showing up to the class is usually enough. Once you work out the important details to learn, memorize them. If you want to completely understand understanding then read How To Know When You Really Understand It in our members only area. You can join the community for free right now. The rules of the test should dictate your strategy. If the test takes away points from wrong answers then you need to account for that. If the test doesn’t then it would be crazy to not guess when you don’t know. Small rule changes can make a big difference in your behavior. This is one area where outside resources about the test can make a big difference. If you’re curious if you should eat before you take the test then you’re doing it wrong. If you’re wondering if you should go to bed early before the test then you’re doing it wrong. If you think your life depends on this test then you’re horribly miserably devastatingly wrong. Do what you always do. The more you try to adjust your life to do better, the more you’re going to stress yourself out. That will cost you more than the minor inconveniences caused by underthinking it. The major reason students struggle with standardized tests is their lack of a memorization focus. The second big reason is that they psych themselves up about them. You’ve got this test under control. Now let yourself feel that. What do you do to prepare for tests? Tell your story below. For me, preparing for tests is all about putting the time in. I know you’re always talking about studying less but more efficiently and I try to do that but there is a minimum amount of time I need to learn and I try to pull off that minimum time regardless of whatever comes up. If I want to study for 4 hours for the test then I find some way to squeeze that in. Ideally I do it over multiple sessions. If I fail to then I cram 4 hours the night before. As long as I get those 4 hours in, I’m pretty comfortable when the test comes. Naturally, it’s best to focus on efficiency more than time. You sound like you have a solid habit. If you’re getting the grades you want then it might not be worth the trouble of changing it. Cramming is less efficient than studying in short sessions. That doesn’t mean you should never do it. Here is where I get concerned: Does knowing you can cram later decrease your chances of studying in short sessions? I recommend never cramming (even if it costs you points) because it encourages a bad habit. Bad habits tend to produce subpar results. Are you happy with your results? If so then you aren’t getting subpar results (maybe suboptimal.) I see no reason to change it if you’re satisfied. 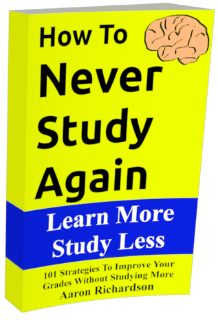 If you’re not happy with your grades then give my strategies a shot. I love this article! It’s awesome.